Captivate listeners with this playful clarinet and piano arrangement of the Welsh hymn tune The Ash Grove. 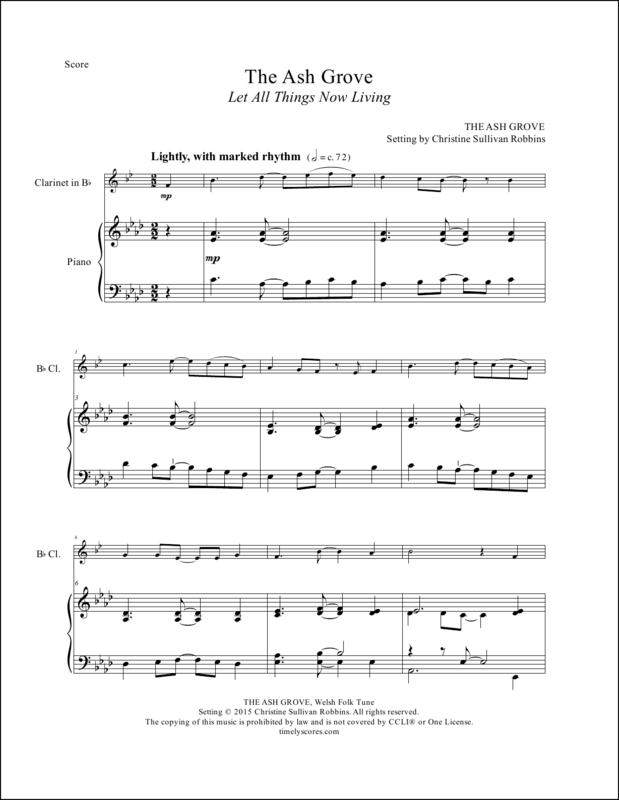 The fun, whimsical rhythms will brighten both church services and recitals. (a.k.a. Let All Things Now Living and Sent Forth by God’s Blessing) Learn more. 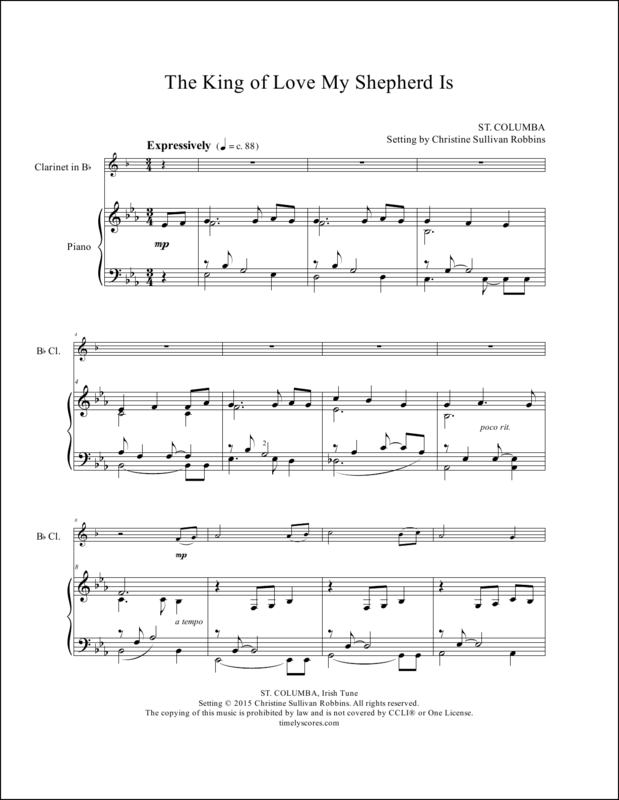 Arranged as a love song, this tender clarinet and piano arrangement of the Irish hymn tune St. Columba is perfect for church services, weddings, funerals, and memorial services. Learn more. 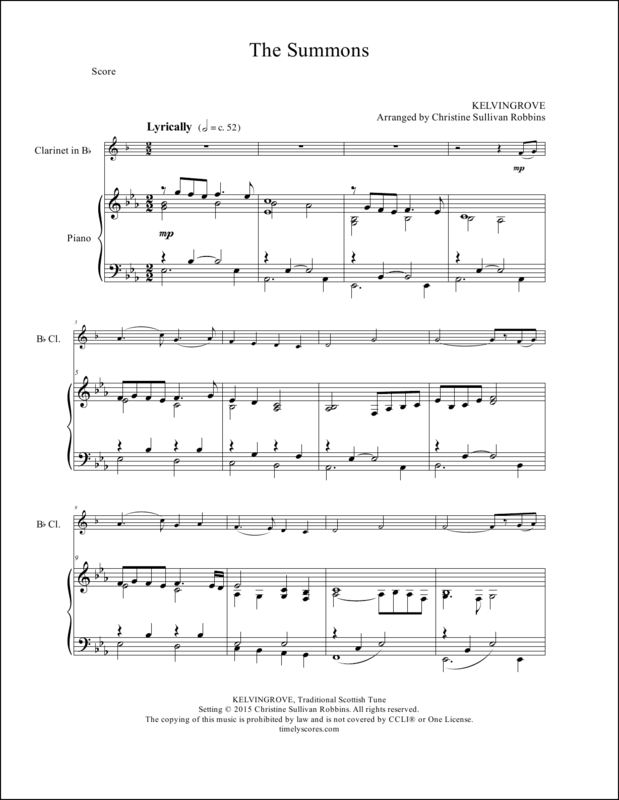 Will you come and follow me…inspire listeners with this easy-to-learn clarinet and piano arrangement of the Scottish hymn tune Kelvingrove. Learn more. 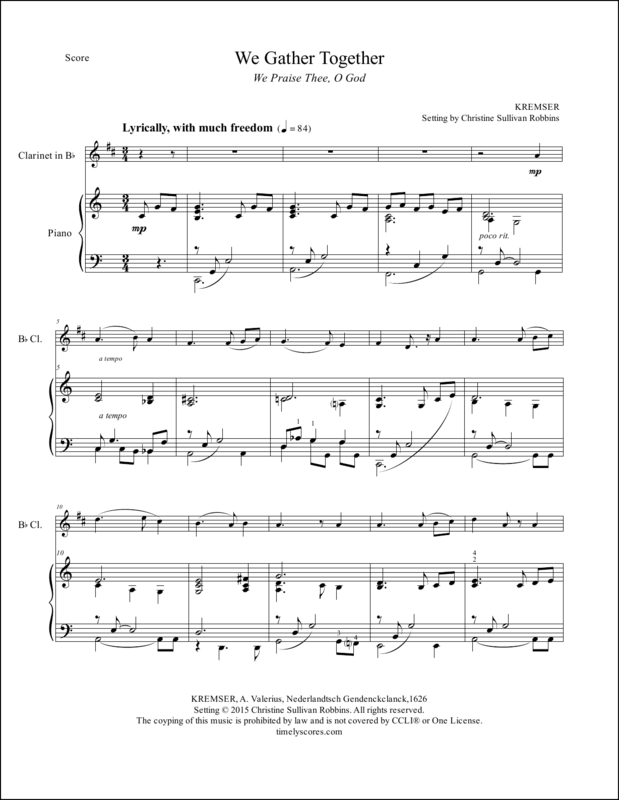 Listeners will enjoy this sweet clarinet and piano arrangement of the Dutch hymn tune Kremser and musicians will like how easy it is to prepare. A popular choice throughout the year and especially at Thanksgiving. Learn more.